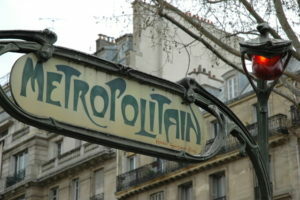 Art Nouveau (French for ‘New Style’) was a movement in the history of design. 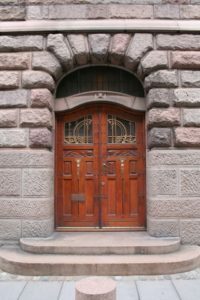 In architecture, art nouveau is more of an architectural detail and decoration, rather than a style. It involved a philosophy that beautiful things could benefit people who saw them. It all began during 1861 in England, a gentleman named William Morris, in collaboration with other artists, created the Arts & Crafts movement as a reaction to the mid-19th-century artistic styles. However, it was most popular between 1890 and 1910, when Victorian ‘fussiness’ became less popular. Architects and designers were under the belief that the greatest beauty could be found in nature, and so started taking inspiration from the natural world and what they could see around them. Their designs were being characterised by floral motifs and flowing, sinuous curves mimicking those found in nature. Some structures seem almost organic, with undulating forms rising from the ground. Graceful lines stretch and then bend back on themselves to create a form called a ‘Whiplash Curve’. This free-flowing line often appears vinelike, and carries a dreamlike symbolism and an aversion to symmetry. Whiplash Curves have become a hallmark of Art Nouveau. Art Nouveau was during 1890’s to 1920 and Art Deco was 1920’s to 1930’s. The major characteristics of Art Deco were strong lines, zig-zags and repeating geometric patterns. 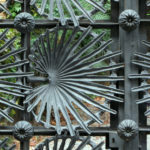 Whereas, as described above, Art Nouveau was more detailed decoration using graceful curving lines and natural shapes. Although the stylistic movement ended over 100 years ago, Art Nouveau designs are still being completed today and older designs still pervades many modern cityscapes. Antonio Gaudi’s structures in Barcelona and Hector Guimard’s Paris Metro entrances not only remain in daily use, but are major tourist attractions. Victor Horta is one of the many famous French architects and a key figure in Art Nouveau design. 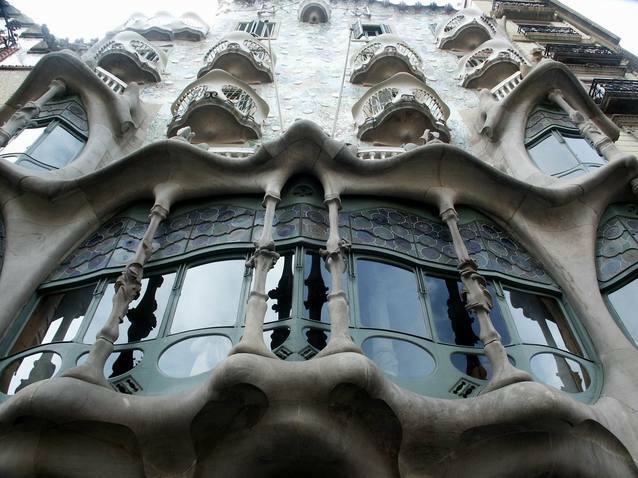 Victor is known for the use of glazed tiles and scultures on the facades of his buildings. Most of his work can be found in the 7th arrondissement, Paris. 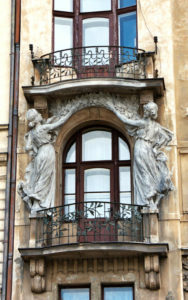 Victor’s former home became the Horta Museum in 1969 and is one of the few notable examples of Art Nouveau houses open to the public.